Despite the fact that Syria, Armenia, Cyprus and South Korea are excluded from the scope of the new amendment 907, other foreigners have already made use of the new amendment by buying real estate in Turkey. After the amendment, Germans have made a purchase of ​​a total of 304.000m2 of land and 11 apartments. The Russians mainly purchased around the Turkish Riviera, they bought 134 apartments. Since the removal of the reciprocity principle on the 18TH of May 437.000 m2 of land is sold to foreigners, of which to mostly Germans, but also to the Russians who have a big share around the Turkish Riviera. Due the fact that it is not allowed for Greeks to buy real estate around the Turkish Riviera, they preferred the Anatolian Turkey. After the change of the reciprocity principle, 907 real estates sold to 183 citizens of different nationalities. In accordance with the Turkish Tapu law the maximum real estate that can be purchased by foreigner is increased from 2.5 hectares to 30 hectares. This increase brings that Germans prefer buying their own land and build a house on it. The Russians on the contrary prefer buying apartments, of which 134 apartments are already sold to Russians. The Greeks have purchased 480m2 of land and 4 apartments mainly in the cities like Ankara and Eskisehir. Netherlands 33, England 111, Ireland 13, Sweden 50, Norway 61, Denmark 30, Finland 13 and Ukraine 12. Remarkably the Czech Republicans, North Koreans, Georgians, Swedish, Greeks, Italians, Japanese, Lebanese, New Zealanders and Serbians have also purchased property in Turkey. In total 296 foreigners purchased 368.361m2 ground and arable land, at the same time 661 houses were purchased by foreigners. The Minister of Environment and Country Planning said that, "The acquired properties are protected under international law. If the foreigners do not meet the purchase requirements, then we have the right to nullify the transfer of the property. Foreigners, who purchase a building ground, are within two years obliged to let their project be approved on the use of the land by the Turkish Ministry. Don't invest in Turkey without any knowledge. How many shareholders are needed? What is the mimimum capital to setup a company? How to implement the articles of association? How many days are needed to setup a new company? What is the value of the company which we are intrested. Why can we not see all the values in the accountbooks? 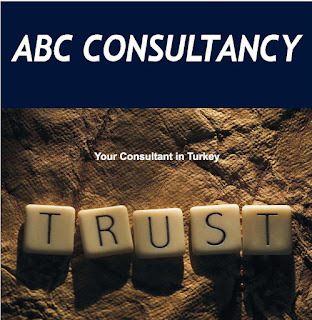 ABC Consultancy is a consultancy company with more than 10 years of experience. 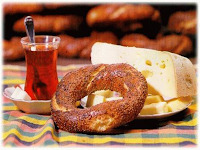 Read more on publication; Your Guide to Turkey. An Irish couple soon falls in love with Alanya. They decide to buy a house and are even ready to invest as soon as they find the right partner for this. After a while they think they have found the right person. He speaks quite good English, appears to be confident, and updates the couple in his 'business affairs' and "political connections' with the local council. 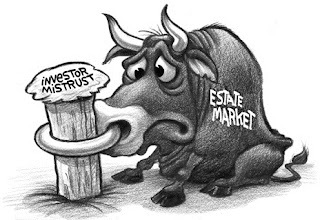 In short they trust him, and soon agree to purchase a plot where they can build villas. The contract is drafted and confirmed by email. 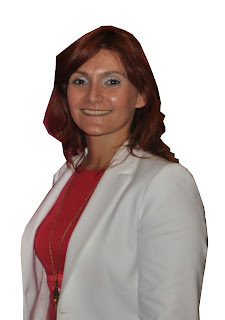 The Irish couple transfer funds regularly on the basis of this contract. They get positive feedback about the build via email and when they visit Alanya once or twice a year, they get a warm welcome. 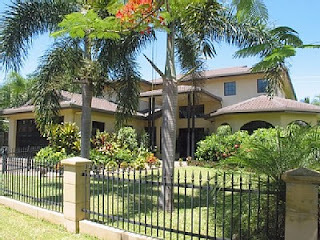 Another contract is drawn up in English through the businessman's advocate, stating that the land and villas built upon it are owned by the Irish couple. Satisfied with progress, they purchase a further apartment and a plot for future investment. The fact that ownership appears in the name of their Turkish partner is not an issue. In the meantime, however, the Irish couple's marriage breaks down. The legal costs associated with divorce mean that the husband can not afford to make payments to Turkey for the time being, When he tries to resume things, he is confronted by his business partner asking for more money than was agreed. Sorry, prices have gone up in Turkey and if he fails to transfer the funds, the villas will not be finished. Out of necessity the Irishman takes out a second mortgage on his home in Ireland and transfers the funds. In the meantime he learns that one of the villas has been sold to a Finish couple. That's good news. It means he can pay his ex-wife and probably see a return on his investment. Upon arrival in Alanya, the Irishman sees that the villas are still a long way off completion. When he enquires as to the whereabouts of the funds, his partner informs him that the amount was received in TL instead of Euros. The exchange rate is too low and it makes sense to wait until it goes up. The Irishman will get his cash later. Whilst the Irishman is well aware of the situation, he wants to remain keep ahead of the game. With considerable difficulty and patience he arranges for the Tapu for the apartment and plot outside Alanya to be transferred into his name. He has to return to Ireland. When he gets there he receives part of the amount in the name of his ex-wife and a small sum in his own name. This is nothing like the sum that he had expected. Returning to Turkey he sees that the sold villa is not only complete, but has been furnished by the new buyers. When he asks his partner for the final balance he comes across many irregularities. There are random deductions without invoices to support them. Finally his 'partner' transfers the incomplete villa into his name. His partner says that he cannot transfer the funds owed because it would bankrupt him. You've probably already guessed that this story will end in a difficult court case. 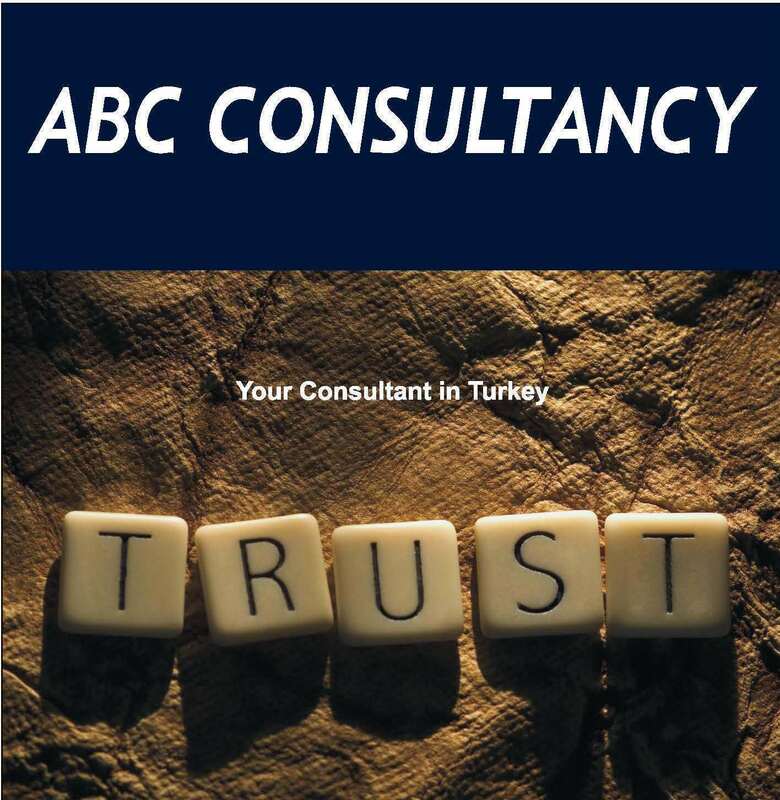 It says a lot about Trust' in the Turkish business world, while the legal system in Turkey is rather based on mistrust. Well thought-out plans, in advance of investing in any kind of venture in the beautiful country of Turkey, can save so much grief and expense afterwards. Profitable business in Turkey is very much a reality, providing that agreements and contracts are drawn up properly and incorporate suitable guarantees. To do this, a lawyer can help you. In this article I would like to bring the right of tenant to your attention. Tenants are no owners of the property, but with the rent contract as a base they have the right of usage and usufruct of the house. Except what about the obligations of the tenant? For example what is the role of the tenant in relation to the Homeowners Association? Till what extension does tenants have voting rights? Can a tenant attend the meeting? Can the tenant be denied access to the swimming pool if he did not pay his service fees? Is a dept collecting procedure against the tenant legal? What to do if a tenant is reckless or unpleasant as a neighbour. The apartment regulations stipulate that all obligations arising from the regulations apply not only to the property owner (in this case the landlord), but also to the tenant. This means that like the landlord, the tenant is accountable and jointly responsible for satisfying all of the obligations arising from occupying the apartment or villa in a complex. For example, to prevent damage to the appearance of the building, to communal areas and facilities of the complex, to obey the house rules, to follow the decisions of the General Homeowners Meeting, to pay the service fee, to be no nuisance to anyone etc. At the General Homeowners meeting the tenant has no voting right. Voting rights are strictly reserved for the landlord or property owner. The tenant is an interested party and can therefore attend the meeting, but in theory they are unable to influence its decisions. However the landlord may authorize the tenant to play an active role in the decision making process of the General Homeowners meeting. On the other hand the tenant can be appointed as a manager of the complex, but not as a financial auditor. Next to the landlord, the tenant is also responsible jointly responsible for paying the specified annual/monthly service fee, insofar that this does not exceed the monthly rent. Even if there is nothing mentioned in the rent contract regarding the service fees, the tenant can be approached with a debt recovery procedure for the payment. The installment payments can not be higher than the monthly rent. The tenant cannot be barred from the complex or from using its facilities simply on the grounds that the contribution has not been paid. In these cases the management has to right and even the obligation to start a debt collecting procedure against the not paying owner and/or tenant. The tenant is required to behave as any good neighbor would do and has to abide by the general house rules laid down by the Homeowners Association. An owner who is subject of damage due to the acts or omissions of a tenant can refer the matter to the local cantonal court. One some cases it is even possible to claim damages from the landlord. For example, an apartment is rented furnished. The tables and chairs on the balcony are blown away in a high wind and falls onto a car nearby. In this case the landlord, as well as the tenant, would be liable for the damage caused to the car. My advice: Make sure as a landlord to get a complete insurance when you rent a furnished apartment. Turkey is listed as number 3 in the list of the countries with the most common industrial accidents. In 2010 the International Labour Organization (ILO) determined 62.903 industrial accidents, 1000 with a deadly end. Due to number of accidents the Ministry of Labour and Social Affairs changed the law regarding the health and security of the employees. The new law has higher penalties and measurements against employers in case of industrial accidents and the government will inspect more frequently. For an employee it is important to work in a secure environment. In case of an industrial accident, the employer needs to inform the local public prosecutor or the gendarme about this matter. When the employer does not fulfill this obligation, the employee is also authorized to inform these authorities. The situation must then be presented to the Social Security Organization (SGK) by sending a petition. The inspectors of the SGK will inspect the workplace and will judge if the accident was indeed an industrial accident or not. It is obligatory that the related employee is also at the inspection, if the health situation is permitting. If the related employee is not able to attend the inspection, colleagues / witnesses must attend for a correct result and progress of the inspection. The employee has the right to a recovery/rest period that the Social Insurance Organization (SGK) will give. Within this period the employee can not be fired. In case the recovery/rest period lasts more then 6 weeks, the employee can only be fired by giving him a compensation or damage restitution. The employee has the right to claim material and immaterial damage restitution from the accident damage causer. It is therefore advisable to consult a specialized lawyer (industrial accident and damage claim). Sometimes we let ourselves be dragged into a case as a lawyer, which turns out to be very different than we had originally thought it would be. You know the saying: there are two sides to every story. Against better judgment the friend lets the man eat sweets. The man becomes unwell and this friend brings him home and puts him in to bed. According to the woman, at this time the friend and the man are alone for a couple of minutes. The condition of the man then gets worse, so much that he had to be taken to the hospital. After a few ours he is released, but when his wife wants to pay the bill she notices that the bank card of her husband is missing. The husband and wife suspect their friend of stealing the bank card in the short time that he was alone in the bedroom with the husband. The next morning the couple discovers that there is a small cash withdrawal at two separate locations. They confront their friend but with no result and therefore the couple decides to get legal advice. The husband and wife would like to have the camera footage of the bank in order to catch the man who did it. 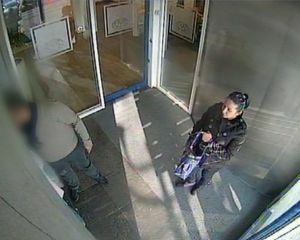 The bank however, informs the couple that such camera footage will not be released just like that. Even a request of a lawyer to release the images was not honored, only the public prosecutor can do such a request. This means that couple would need to file a criminal offence claim, something that they would have like to avoid. Eventually they go ahead and file a claim anyhow and the claim is treated seriously. However it turns out that the bank only stores the footage for 3 months! And though the claim had been filed before the three months passes, the request from the prosecutor had not reached the bank on time. But there is a slight twist to the story. The suspected friend informs that for a couple of years he had an affair with the wife. By coincidence he had found out that she also was having an affair with someone else. As by his saying, the friend gets remorse and ends the relationship with the wife. He says that this makes the wife enraged to the extent that she puts the whole stolen bank card in scene to get revenge on the friend. Eventually the public prosecutor has dropped the case due to a lack of evidence. Minimum wage adjustment for 2012, 2nd period (1 July 2012 - 31 December 2012). For payments of wages you have to care of the amounts shown in the table below. The rates for staff of apartment buildings in Turkey are distributed differently. Keep this in mind. To avoid future problems with taxes we recommend you to pay the wages as mentioned below. Try always to pay the wages as mentioned below by bank. If you do your payments in cash then let your personnel undersign the monthly wage paper (inform you bookkeeper). Do you have a car with a Turkish license plate and would you like go on vacation abroad, for example the Netherlands, the first question that comes in mind is which documents would be necessary to cross the borders. You can request this card at the Turkish customs. For this you need a Liability insurance polis (Zorunlu tarfik Sigortası), the ownership papers and your personal tax number. A Turkish title deed of a vehicle is only made up in Turkish. When you want to travel abroad you will also need an international title deed to proof that the vehicle is your own. This can be requested by the nearest Turing office (Türkiye Turning ve Otomobil Kurumu, this is a well-known road patrol office in Turkey). You can find the Turing offices at this website http://www.turing.org.tr. In case you have a Turkish driving license, you have to request an international driving license at the Turing offices mentioned above. You can get a TripTik at the Turkish customs. This is a document which contents information about the ownership of the vehicle and what the specifications are of the vehicle. Foreigners, who travel with a Turkish licensed car to their own country, be alert! Be aware that a foreigner who is registered in their own country can not use a vehicle with a foreign license (turkish license) plate without paying tax for this vehicle. Inform in you own country for the possibilities and periods. When you as a foreigner would like to work in Turkey, you will need to request a working permit by the Turkish Embassy or the Turkish consulate in your home country. Your employer needs to send the necessary documents to the Ministry of Labour and Social Security. Foreigners who are in Turkey with a tourist visa can not apply for a working permit. In general a working permit has a duration of 1 year. In case you need an extension of your permit, this needs to be done in the defined period of time (rule in 2012: 2,5 months before expiration date). After extension the working permit will be effective for 2 years. A potential second extension will be valid for 3 years. When you have lived and worked in Turkey for a full and constant period of 8 years, you will be able to request a working permit for an indefinite period of time. Your previous working permit does not need to be extended. You only have to make sure you request your indefinite permit well on time by the Ministry of Labour and Social Security in Ankara. If there is not a bilateral or multilateral agreement between Turkey and another country stating otherwise, a foreigner who has lived for a legal and constant period of 8 years or has worked for at least 6 years in Turkey, is able to extend his working permit for an indefinite period of time. This permit will not be bound to a project, profession or geographical area. The condition that you have to have lived in Turkey for a legal and constant period of 8 years must be proven with previous residence permits and papers from the aliens police. During your request for a working permit for an indefinite period you have to produce these records to the Ministry of Labour and Social security. When the residence permit is extended, the working permit will also not be valid anymore. So, in case you have a working permit for a indefinite period of time and your residence permit expires, you will be obliged to report this to the local alien police. Usually my articles cover matters relating the purchase, sale or rental of property in Turkey, as well as a range of associated issues. However, recently I had a case where tourists appeared to have been duped by a jeweller. Because it is important that you are aware of your legal rights and options in such cases, I will discuss in this article the subject ‘fraudulent sales’. A foreigner couple books a nice holiday to Turkey. They enjoy the holiday and they are having a great time until their day trip to Antalya ended in an attempt to con them. A visit to a jewellery store, what should have been a short stop, took rather longer then expected. After spending several hours in this store the lady gives in and they sell her jewellery and inform her that they are 18 carat gold with real brilliant stones. The price of the jewelry is € 15.000. She pays a deposit and agrees that the rest will be paid by installments. The minute she walks out of the store she already regrets her purchase, but the more when she gets home and discovers that the jewels are not worth the money and value like the seller told her in Antalya. Luckily she had kept the guarantee and receipt. When she contacts the jewellery store they were only willing to compromise on the price and would not to take the jewellery back, despite the fact that the lady no longer wanted to keep the jewellery. She wants her deposit back and wants to cancel the installments. When there is clear defect or deficiency to a purchased good, the buyer is – as long as he cancels the sales contract – entitled to a full refund of the payment (or deposit) within 30 days. The buyer is under no obligation whatsoever to give a reason for the cancellation. The 30 days period starts once the product, in this case the jewellery, has been sold and handed over to the purchaser. The law requires that within this period of time the buyer informs the seller by a written notification of his intention to cancel the sales contract and demand the deposit back. In case the buyer does not inform the seller on time (within 30 days), the buyer will be bound by the contract and can no longer reverse the sale. In that case it is maybe a possibility that the buyer then refers to ‘vitiated consent’ during the realization of the contract. Vitiated is covered under the General Contract Law and it covers deceit, fraud, compulsion and abuse of circumstances. Such issues, however, will remain to be proven. If you or someone you know gets into this kind of situation, do not hesitate to take action. It is good to try to solve the issue verbally, but make sure that you are also aware of your legal rights and possibilities and make use of them when necessary. Do you have a house in Turkey and most of the year it is staying empty? Then maybe it is a good option to rent and make some financial profit. Off course in this case there are some matters to be concerned about, like a good rent contract, rent tax and income tax in Turkey. Rental contracts are standard documents with standard conditions. Parties are on the other hand free to insert extra preferred conditions. Some important conditions that must be taken in to the agreement are address information, payment conditions, the lease period, the term of notice and the rent increasing. 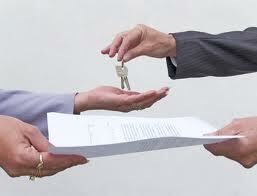 Pay attention that all inventories of the house are also recorded in the agreement. The rental agreement is between a tenant and a landlord. The landlord is the rightful owner of the house and can be represented by someone who is authorized to act in name of the owner, like a real estate agent. It is common that before the agreement is closed the tenant pays a deposit (a guarantee) and an advance of the lease to the landlord. This is to guarantee the lease of the house. Besides, it is also wise for the landlord to guarantee the rent payments with Senets (legal bills). For example when there is a rental contract for one year with a monthly fee of 500 Turkish Lira’s there can be 12 Senets which are undersigned by the tenant in advantage of the landlord. These Senets give insurance to the landlord in case the tenant does not pay his rent or he suddenly leaves after a couple of months. On basis of the Senets the landlord can start a collection procedure against his tenant who is in default. Be aware that you have to ask each senet back after your payment. 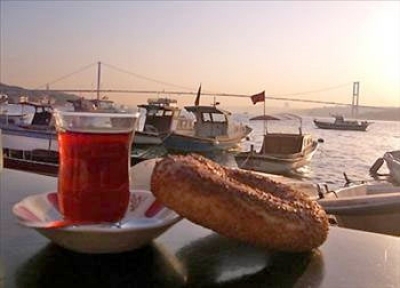 The Turkish tax office started in 2012 sending tax forms to submit a tax-return received rental income. Some information in this tax form is already been filled in with the information collected from several parties for example insurance companies, Tapu offices and banks. In case you do not agree with the amount that is been calculated in the received tax form letter and you receive less rent then mentioned, you have the right to object and proof the opposite. In case you give wrong information and this will be noticed by the local tax office, you risk a fine amounting the yearly tax payment amount of the last 5 years including tax. It is therefore advisable that the tenant transfers the rent to the Turkish bank account of the landlord, so this can serve as evidence for the tax authorities. A second home in Turkey must be officially registered at the Turkish tax authority, it is a property. According to the tax system of your native country it could be possible that you have to pay rental income tax to your own country. Check it with you own country tax system, you can also show your tax payment bills from Turkey. As per 1 July 2012 the new Turkish business law has been effective. For 50 years the old business law is being used and finally this law has been changed. With this new law there are some useful changes made that will be in benefit of international companies and the Turkish businessman. In our article of March 8, 2012 we already summarized the most important changes that has been published in this new law. All web pages has to be freely accessible. Financial information, reports and financial control reports has to be published for at least 5 years. 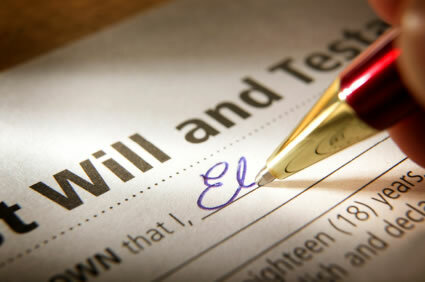 Draw up a will in Turkey: yes or no? I will get straight to the point. Judging the responses and queries that I received in the last couple of months, it appears that the Turkish law on inheritance is keeping a lot of people busy. For this reason in this article I will explain the details about ‘Wills’ in relation to owning property as a foreigner in Turkey. According to the Turkish law there is no need to write a Will if your intention is to leave your property to your partner and children. The Turkish inheritance law meets this right automatically. In case one of the matrimonial partners dies, the home (property) will be inherited by the longest-living partner and the children of the deceased or only the children when there is no partner. Therefore it is a waste of time and money when you draft a Turkish will, foremostly when you already have a will in your own native country. However, it is sensible to draw up a will when there are no children, you have a type of cohabitation which is not legitimized in Turkey (like a gay marriage or a partnership agreement) or you would like to donate to a third party who is not a legal inheritor of the deceased. The longest-living partner of the testator can not be disinherited with a will; children on the other hand can be disinherited, only up to the legitimate share of one half of the legal heritage. Should you nevertheless still want to draw up a will, you will have the right to appoint one or more executors in this matter. An executor is someone (it does not necessarily have to be an inheritor) who is appointed and legally authorized to execute the wishes that are laid down in the will of the testator. On behalf of the inheritor the executor is also authorized to obtain a certificate of inheritance from the court, without the inheritors having to authorize the executor individually. This saves a lot of time and money for the inheritors who are not familiar with the bureaucracy of Turkey. 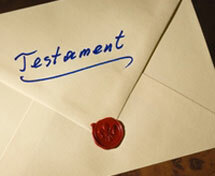 An executor has the right to resign from his duties, in which case he must inform the local cantonal judge. However, once the executor has started to carry out his duties, he can not resign his responsibility without any warning. At any time the cantonal judge can call the executor to account.